The ultrasound examination is the most important diagnostic tool for varicose veins. As in Doppler, it is real time and practical. Duplex ultrasound is often used for diagnosis. It generates PW Doppler and B/W image. Most of the newer diagnostic ultrasound are Triplex. It produces PW Doppler, B/W image and color image. The disadvantage of diagnostic ultrasound is the high cost and private practices may not be able to afford it in the beginning. The frequency is important in ultrasound. Higher frequencies allow clear observation of superficial organs. The frequency of 3~5MHz used for 4cm depth observation of the abdomen is useful in deep vein examination. The frequency of 8~10MHz used for 2cm depth observation such as thyroid is useful for superficial vein examination. Most venous diseases are superficial and 8MHz allows clear view of deep and superficial veins. Lower frequecy is preferred in deep vein examination in a severly obese patient. The ultrasound probe produces higher pitched sound when the blood flow is rapid. With valve insufficiency, the leak is heard in a loud sound. When such reflux lasts over 1 second, valve insufficiency can be diagnosed. Recent reports argue that the diagnosis should be based on 0.5 second. Deep veins thrombosis produces weaker and delayed sound compared to the healthy side. Amplifying the sound can help detect superficial and deep vein occlusion, dysfunction, location of perforating veins and valvular function, etc. For accurate diagnosis, ultrasound is necessary. Patient position is very important in ultrasound examination. Deep veins are examined in a supine or standing position and superficial veins are examined in a standing position. GSV is examined with legs wide apart and big toes turned outward. Small saphenous veins (SSV) are examined with the patient standing up with the knee of the examined limb bent inward and tip toe position. The ultrasound examination begins with inguinal SFJ. The venous diameter and existence of reflux, thrombosis and occlusion are closely examined. The venous diameter is measured at the GSV ostium and 1cm below the trunk. The probe is placed cross-sectional and longitudinally. In the cross sectional view, first look for common femoral vein, common femoral artery, and greater saphenous vein. The shape of this region may resemble a face of Mickey Mouse. It is easy to remember it as Micky mouse sign. The Mickey Mouse face starts at the common femoral vein, with one ear being the femoral artery, and the other ear being GSV. In the presence of varicose veins, the veins are dilated, making the ears of Mickey Mouse appear larger. In my experience, the normal GSV diameter ranges from 5-8 mm, and the normal diameter of SSV was 2~4mm. Varicose veins can be suspected with veins thicker than these ranges. When screening for reflux in SFJ, repeatedly press and release the ultrasound probe to screen for thrombosis and distinguish from arteries. Compared to arteries, veins have less smooth muscle development and thinner walls and pressure from probe can easily distort vessels. Therefore, the GSV course is scanned along the medial thigh. With perforating vein insufficiency, Hunter perforating veins are seen in mid thigh and Dodd perforating veins are seen in distal thigh. Boyd’s perforating vein is seen in the upper anterior medial calf and Sherman and Cockett III~I perforating vein connects the superficial veins with posterior tibial veins. In a standing position, these veins are on average 24cm, 18cm, 12cm, and 6cm above the ground, respectively. Morphology of perforating veins, reticular veins and reflux are examined. Instruct the patient to stand with his back toward the examiner to examine the SPJ, SSV and deep veins in the knee joint. Make records of the location, severity, degree of dilation, and reflux of varicose veins in the chart. 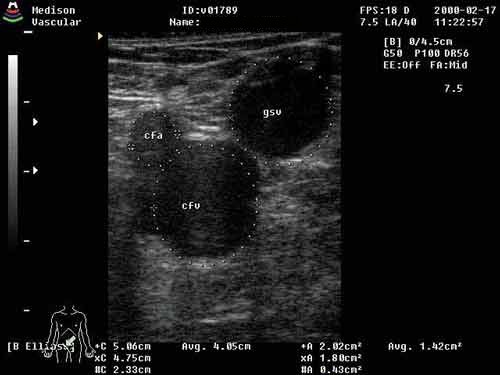 Figure 1. ultrasound vascular image. Figure 2. ultrasound blood flow examination. 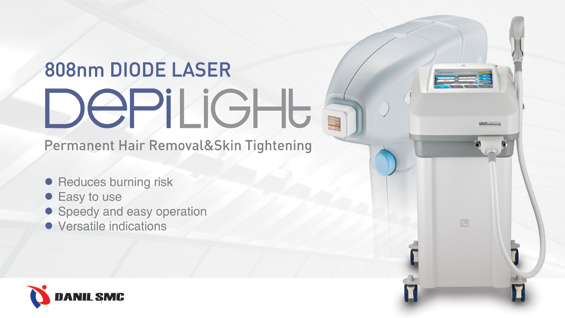 In Germany, the most widely used diagnostic tool before implementing vein sclerotherapy is photopletysmography (PPG). The infrared light generator and detector are attached 10cm above the bottom of the foot and the tip of the foot is flexed upward and downward 5-10 times. This method evaluates venous function by measuring the infrared light absorption in the red blood cells during contraction and relaxation of calf muscles. It measures VRT (Venous Refilling Time). Normal VRT ranges from 20 to 25 seconds. Shorter VRT signifies abnormal reflux due to venous valve insufficiency. A tourniquet is applied for retest to rule out the influence on the superficial vein results. In other words, when VRT is normal with the tourniquet, superficial vein insufficiency can be diagnosed. If PPG with compression of a particular vein results in a VRT rise to 15-35 seconds, venous valve insufficiency is diagnosed. If PPG with a tourniquet results in longer VRT, superficial vein problems can be diagnosed. No changes in VRT indicate deep vein insufficiency. Short VRT with flattened curve indicating poor out flow can signify deep vein thrombosis (DVT). However, accurate diagnosis is limited as it can only measure volume changes. Abdomen CT is useful in diagnosis of abdominal hemangioma associated with congenital vascular disease such as Klippel Trenaunay syndrome. phlebography is useful in diagnosing venous occlusion from thrombosis and vein valve insufficiency. A tourniquet is applied above the ankle and the contrast media is gradually injected into the lateral superficial vein of the foot dorsum to visualize superficial veins and deep veins. Descending phlebography is possible only with femoral vein valve insufficiency. Varicography with direct injection of contrast media in the varicose veins can be performed in patients with recurring varicose veins. this is more accurate than ascending phlebography in perforating veins of the mid-thigh and gatrocnemius. About 0.2% of 1,000 patients clinically present major congenital venous dysplasia. This frequency is associated with subject selection. Venous dysplasia in the lower limbs have the following clinical manifestations. Abnormal venous development: aplasia, hypoplasia, abnormal valves, abnormal venous course. Vascular dysplasia: Klippel Trenaunay Syndrome, Parker Weber Syndrome/ independent venous hemangioma or phlebo-angiomatosis form, vein lymphadenoma. Conditions such as Klippel Trenaunay syndrome and Parker Weber syndrome are not rare and diagnosis is quite straightforward as they present with skin hemangioma.